The foods that filled Annie’s kitchen had a strong connection to the local German and Czech families who settled in Red Cloud: rabbit with gravy, dumplings, sauerkraut. Those are all familiar, but I had never heard of kolache until I read My Ántonia. The slightly sweet, yeasted pastries filled with spiced plums that Cather described made me curious enough to try them myself. 1. Make the filling: Combine plums and sugar in a small bowl and let sit 1 hour. In a food processor or blender, purée plum mixture. Combine plum purée, cinnamon, allspice, and cloves in a medium saucepan over high heat. Stirring constantly, bring to a boil and cook 10 minutes, or until mixture has thickened (and passes the plate test). Cool completely. 2. In a large bowl, combine 2 cups flour, the yeast, and nutmeg. Set aside. 3. In a medium saucepan, combine 1 cup milk, the butter, sugar, and salt. Warm over low heat until mixture reaches 120 to 130°F. Add milk mixture and 2 eggs to dry ingredients, stirring until fully combined; then beat with an electric mixer on high speed 3 minutes. Stir in lemon zest and remaining 1 1/2 cups flour. 4. Turn dough out onto a lightly floured surface. Knead until dough is soft and elastic, adding additional flour if necessary. Place in a lightly greased bowl, turning once to grease the surface. Cover and let rise in a warm place until doubled in size, 1 to 1 1/2 hours. 5. Punch dough down and turn out onto a lightly floured surface. Divide dough in half and roll out each half into a 16×8 inch rectangle, about 1/8 inch thick. Cut each rectangle into 8 4×4 squares. 6. Place 1 heaping tablespoon of plum filling on center of each square. Brush the corners of each square with water, draw them up, and gently press together. Secure with a toothpick. Place on 2 greased baking sheets, 2 inches apart. Cover and let rise 30 minutes. 7. Preheat oven to 375°F. In a small bowl, beat remaining egg with 1 tablespoon milk and brush over each square. Bake 12 to 15 minutes or until golden. Transfer to wire racks and cool 10 minutes. Remove toothpicks. I love this blog! Such a cool blend of food, history, and literature. I’m so excited every time there’s a new post! Thanks, Dana! It’s always more fun when people are enjoying it – I appreciate it! Love how she used food to reconnect to her roots while living in New York. Great post! Thanks, Nicole! I’m dying to try your most recent post. Panzanella of some type is a go-to here, because I always have some bread around. I can’t wait for summer so I can make it with peaches and a shallot vinaigrette – my favorite. It’s so interesting, this idea of Cather taking the Nebraska farmland with her to New York and reliving the past in her New York kitchen. I enjoy little pastry pockets and look forward to giving kolache a try. Pastries and quick breads are definitely my weakness, too. Hope you enjoy these, and please let me know how they turn out! I’m so glad this rang true for you – and I love the idea of an “Ancestor’s dinner”! I’ll have to try it out here and make some San Francisco sourdough (although you need to be by the ocean to have it taste exactly right). I love the premise of this blog and the food looks excellent. Can’t wait to try these this weekend. They’re a great weekend brunch treat. I hope you enjoyed them! Wow about Willa Cather leaving the Great Plains when she was 33 and subsequently having a city life. It totally makes sense that she’d use food as a means of remembering a place, the sense of that place, its feel etc. Thank you for the recipe too and I can’t wait to make it come plum season. Food is such a transporting thing, right? I never imagined Willa in NYC, but I discover something new about my favorite authors all the time while writing these! I just found this site and think it is the best thing ever. I had wanted to do a post about this, but then found you have an entire awesome blog dedicated to this. Thanks! Thanks, Jen – glad you found me! If you do write a post, please send the link – I’d love to see what authors you explore. I completely agree with the people who are bullish about this blog! If some Texan (an opinionated bunch) tells you this is the wrong shape, refer them to “The Panis’ Cookbook”. It is a church cookbook written by, I’m guessing here, second generation Slovaks and Rusyns in the 1970’s. It should be considered something like the dead sea scrolls and la rousse gastronomique. Along with misspellings and hand drawn accent marks on the foreign words, it has a description of what kolache fillings go in what shape. Lekvar (prune butter) is indeed made into the square shape. Also, don’t let someone call poppyseed or walnut roll “kolache”. Anyway, cool idea for a site. Jon – This is fascinating (and I’m glad I stumbled upon the “right” shape). I’ve found a copy online and can’t wait for it to arrive. Thanks so much for sharing! I’m worried I’ve over sold it. Beware of the book’s VERY amateur nature. I followed this recipe and made a batch this weekend. They turned out great, and it was not necessary to make any alterations for high altitude baking. The gentle, delicate spicing of the plum jam filling makes the flavor like food for the gods. Excellent. I’m so glad you liked them, Faye! The plum jam is also a favorite of mine – worth getting the canning jars out for, so you can have it on a scone or muffin in the winter. this is awesome. thank you so much for sharing. to me, willa cather always writes exactly what we need to know, with delicacy, and with no exaggeration or excess of expression. reading willa cather makes me feel so warm. and this kolache recipe can make one feel even warmer, closer to her. thank you again! When I was a senior in high school in Fort Worth, Texas, my English teacher assigned My Antonia. I enjoyed reading it but really I don’t remember reading about kolaches! After I graduated from high school my parents bought a small convenience in the town of West, Texas, a Czech community about an hour & a half south of Fort Worth. Kolaches became a favorite of mine. I met & married a Czech guy & we have two children, each of whom has their own favorite West pastry. We stopped at the bakery on the way to school each morning so they could get a pecan roll & a sausage roll, neither liked kolaches! I didn’t know about the My Antonia-kolache connection until I read this article. 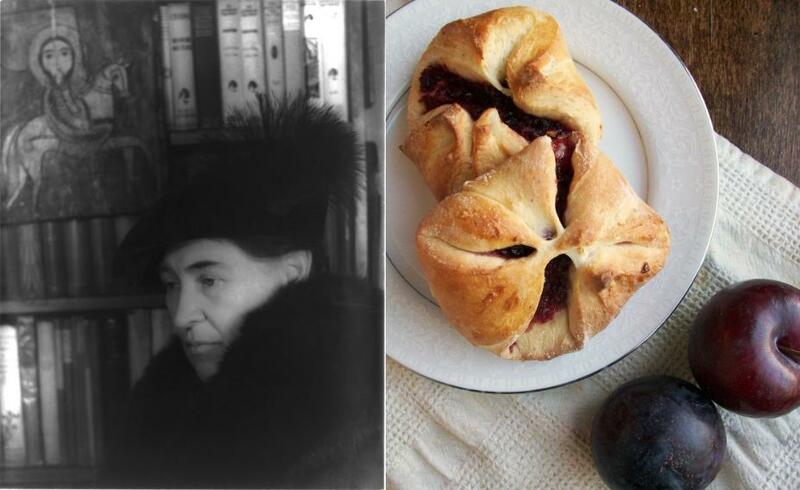 It’s interesting that Willa Cather was inspired by a woman who used Czech & German favorites–much as my mother-in-law (who was German) did for her husband (who was Czech) and her family. I enjoyed reading your blog. 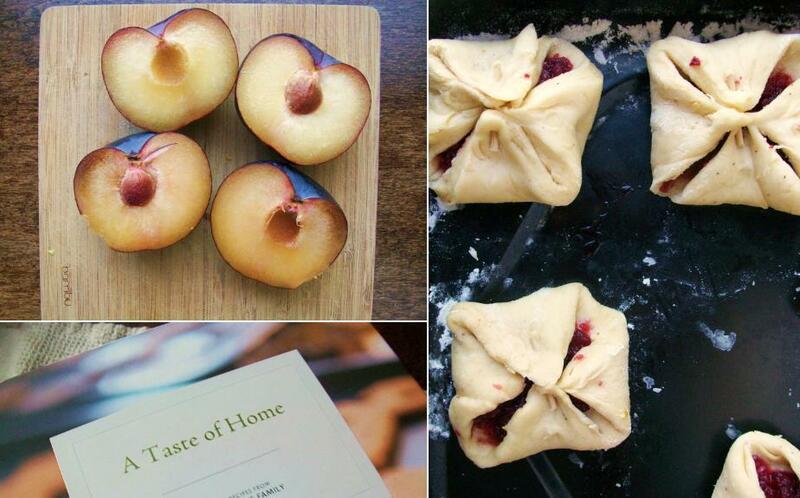 I was curious, have you ever heard of a recipe that for sliced plums kolache? A very interesting blog indeed. I baked your Kolache with some success. How much is one packet of yeast ? Please give your measurements in celsius too,it would be helpfull.